For artist Nancy Schroeder, the real beauty of a flower isn’t its exterior, but what lies within. Her mastery of waxed-based paint allows Schroeder to superimpose layers of paint, providing her audience access into the inner working of a flower to see its structure and its often ignored inner brilliance. Schroeder has had a close relationship with nature since high school, when she was first introduced to the world of botany. She would later spend 10 years as a florist, strengthening her relationship with hibiscuses, orchids, lilies and roses. 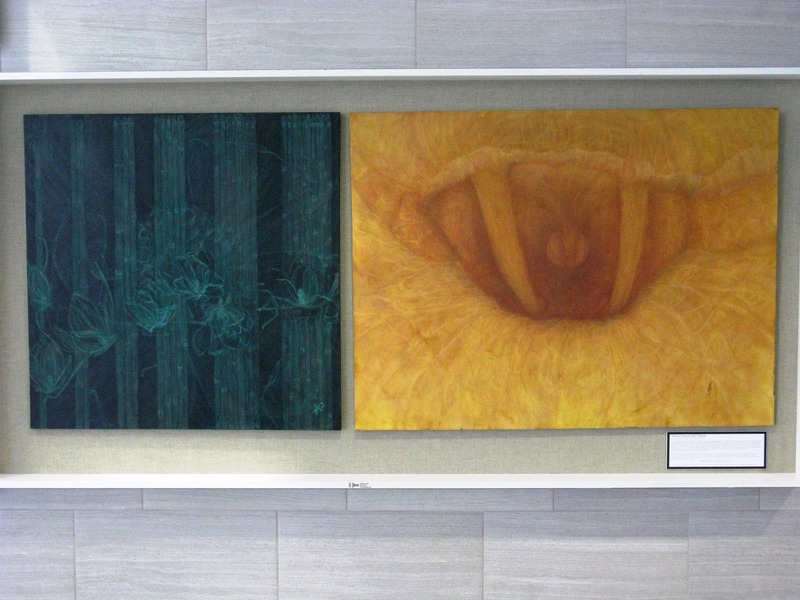 Two of her paintings are now on display at the North County Transit Center in Ferguson, and will be in the transit center’s art gallery until spring. Schroeder, a resident of Ferguson, sold her first painting while serving in the U.S. Navy, and has since sold her artwork throughout the country. More of her work can be found at Corners Frameshop & Gallery in Ferguson.